In order to keep up with digitization in the corporate world, even classic business applications are on trial. In many companies there is need for action in order to map all segments across the value chain in future by an integrated solution. At Microsoft the traditionally separated fields of ERP and CRM are growing together under the umbrella brand “Dynamics 365”; the integrated business application suite “Business Central” is a major part of this. Modern software solutions like this offer lots of opportunities, but the scope of implementing such a system should never be underestimated. Even though new business applications have different pricing models than before and even offer leasing models, the implementation and conception of such a software solution is still a major investment. And even if manufacturers keep talking about “self-service” and there is no longer a need to provide your own hardware, for complex business processes it will always be necessary to include consultants with experience from other similar projects. Many companies will have to check and adapt their existing processes to the parameters specified by the new software. To this end, lots of plans and discussions are required to ensure the success of the project. So it’s worthwhile to keep the following principles in mind before launching a new project. Today, in a modern company, technological support is essential for managing all business processes. Therefore, in addition to an efficient ERP system, many companies also deploy a CRM system. After all, through intelligent combination of the data from the two business applications, the constantly changing buying behaviour of the modern and complex market environment can be reacted to in a structured manner within the framework of an analytical CRM concept. Whether in the creation of marketing campaigns, the generation of leads, the management of sales opportunities or the optimised service of existing customers, an operational CRM system supports companies in all industries in automating various tasks in the fields of marketing, sales and service. In this way the platform makes it possible to influence customers and the market. Thus it offers the ideal basis for optimised customer orientation and making well-founded decisions. With this, the uses of a CRM system are far from exhausted yet. Combined with other data sources and a suitable business intelligence solution, the software can also be used to pursue the approach of analytical CRM. The combination of the various databases and the exchange of information between them facilitate the systematic processing and evaluation of the data collected in the operational systems and make it possible to link the data. The mentioned information can be, for example, customer reactions, sales figures, transactions or other data from various areas of application of the ERP and CRM systems. However, it is not always possible to obtain all relevant market data (e.g. interested-party behaviour and customer satisfaction) directly from one’s own ERP or CRM system. In line with the fast-growing quantity of big data, some information is only available externally, i.e. in the cloud. Ultimately, the goal is to filter out the data that is important for the respective company from this cloud and to include it in analyses and evaluations. So using the idea of analytical CRM, customer behaviour patterns, company potential or current market conditions analysed and evaluated by the BI tool from various internal and external data sources, for example, can serve as an ideal decision-making base for future actions. For even better processing of the analyses and evaluations, integrating these directly into the surface of the other operational systems respectively is a good option. In this case the connected CRM can ensure the optimisation and control of further operational CRM processes and impact on the future strategic alignment of the company. Thus, in a concrete case of application, the buying behaviour of customers could be assessed, for example, on the basis of various internal and external data via the BI software. By means of the analysis, it can ultimately be recognised which customers (e.g. categorised according to age or region) purchased which products in the recent past and how satisfied they were with their purchase. Then, in a subsequent mailing campaign, specific target groups can be written to in operational CRM and encouraged to purchase relevant products again. Customer groups who have not bought anything for a long time or were dissatisfied with their purchases can be left out or receive other offers. In this way, CRM can be used in a targeted manner for efficient communication, for detecting and harnessing trends and consequently for optimising customer satisfaction and sales measures. Using the NAVdiscovery Toolbox developed by prisma informatik, the integration of the individual systems required for this can be implemented quickly and cost-effectively. 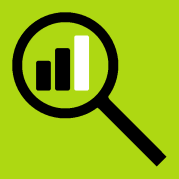 The connector links the business intelligence solutions QlikView and Qlik Sense with Microsoft Dynamics NAV, CRM and as many other data sources as desired (e.g. Qlik DataMarket). In many versions prior to NAV 2016, technical work had already started on ensuring a high degree of connectivity with the outside world. As a central ERP-system, Microsoft Dynamics NAV has the most modern technical standards, which enable it to exchange data with other systems in real time and to outsource processes unnotelessly for the user to subsystems. 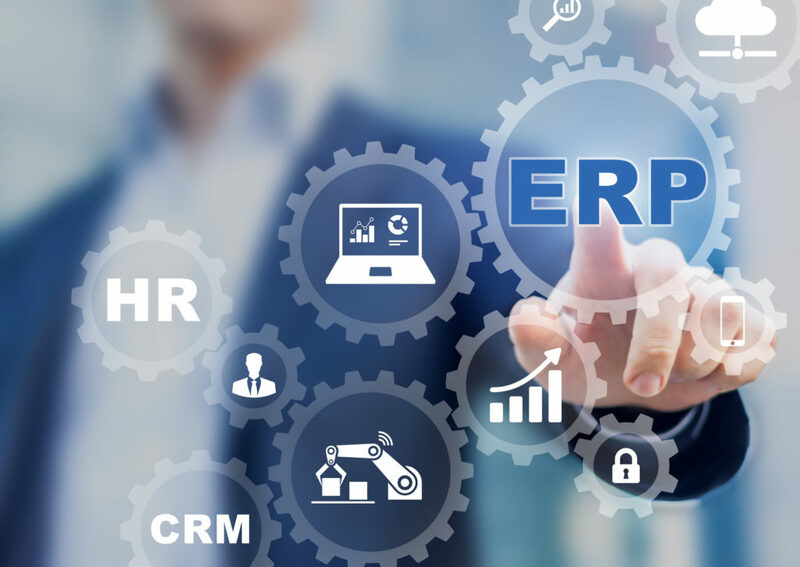 By establishing a higher interoperability with other, above all specialised systems, it is becoming increasingly unimportant to include complex or maintenance-intensive and varying functionality as an individual programming in the ERP-solution. With the so-called Web Service Communication, associated with the XML-based data exchange, it is now possible to design processes synchronically in machine-to-machine communication. This concept has meanwhile become indispensable in many applications in modern ERP-architecture. For this reason Microsoft is expanding the Integrated Development Environment (IDE) with every version of Dynamics NAV, to implement the design of the application and the process control function effectively with the latest technologies. 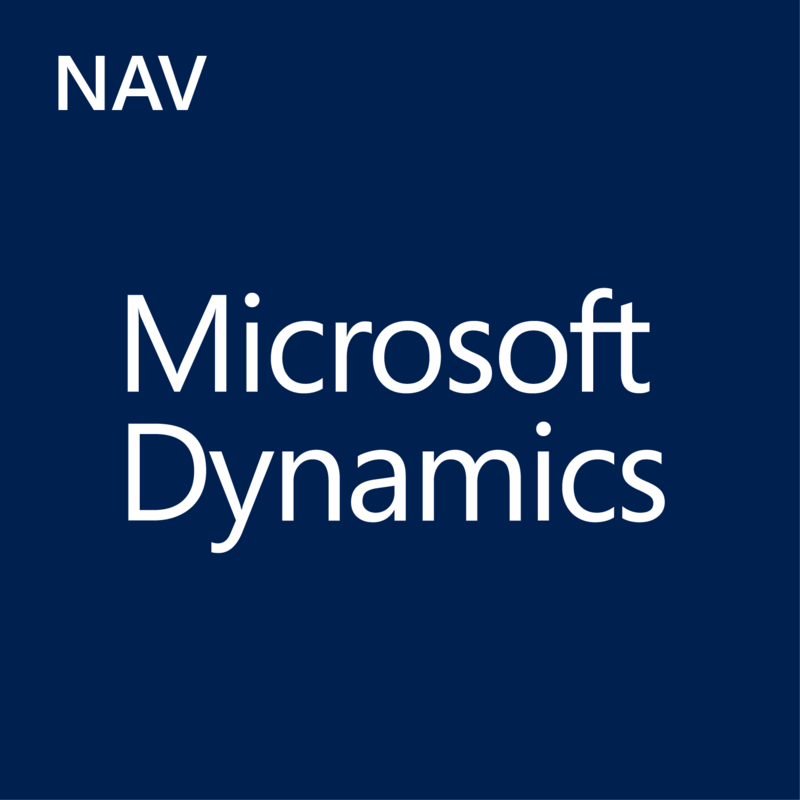 Since Dynamics NAV is increasingly positioned by Microsoft in a Cloud Operating Model, it is of greater significance that the solution operated in this way is not optionally individualised, as this will push the supply platforms to their limits. As such, also in the version NAV 2016 a number of innovations were introduced, which essentially target the backgrounds mentioned above. Developers can now – as in other development environments – also query so-called “events” across the entire system in Dynamics NAV, in order to react in the program code to status changes in other areas of the program. With this technology it is possible to integrate additional functions in the individual processes, without directly modifying the core source code of the standard application. For the user and operator of the ERP-solution, this ultimately means that fewer medium and long-term costs are generated during maintenance work and updates. 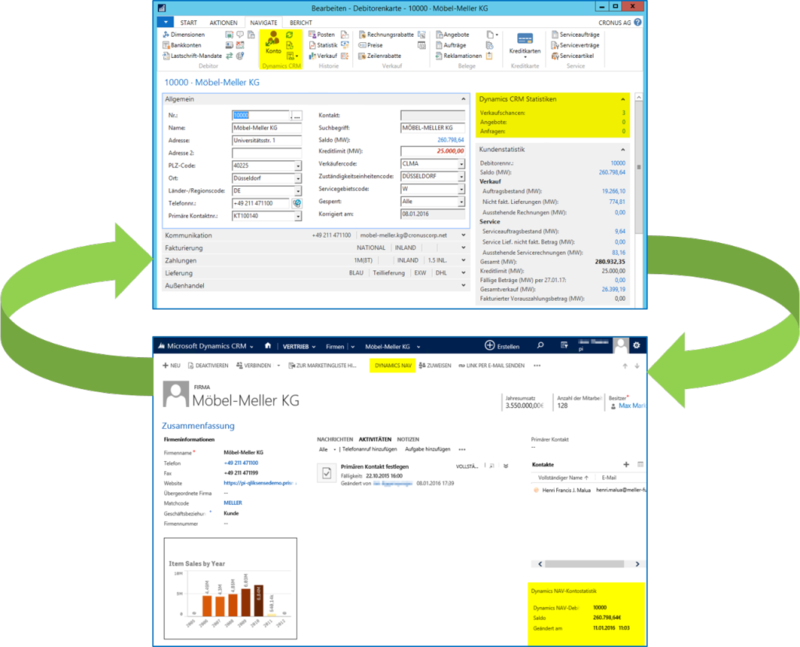 Likewise, separated “Apps” can be installed in Dynamics NAV, which do not change the existing object model, although they do have an influence on the data and functional model of the application. Microsoft not only updates the system “superficially” or in terms of “contents”, but also ensures that current technical requirements can be met. With version 2016, developers and designers are also provided with further high-performance tools to create specific applications, which are of great benefit to them in their day-to-day using. Not only because of the successful online availability of Dynamics CRM (Software as a Service) and the overall widespread use of the ERP application Dynamics NAV, many companies use both of these Microsoft products. In the interests of efficient customer management, however, simple parallel operation of the two systems does not make sense. Both products utilize central data structures in a company, like customer management, for example. Instead, it makes sense to integrate the two systems technically so that processes can be organized seamlessly and efficiently in both. With its new release of Dynamics NAV, Microsoft presents an entirely redesigned method of integration between NAV and CRM, far beyond the synchronization tools of the previous versions. Both products are used for their respective strengths regarding the common business processes and complement each other excellently. Information from Dynamics NAV can now be shown natively in the GUIs of the CRM application and vice versa. All employees are thus guaranteed full view of all processes of a given customer. A customer from the NAV application can be coupled with a customer in the CRM, for example, thus enabling automatic background synchronization of master data. This applies most of all to fields used in both applications (e.g. address information). On top of this, so-called links are offered from both applications for all relevant tables, allowing one-click navigation from one application to the other, where further editing steps can be taken if the appropriate permissions exist. Various content types can then be shown respectively in the context of the other program in so-called FactBoxes (e.g. NAV financial accounting statistics shown in CRM or CRM sales opportunity statistics shown in NAV). Processes can also be integrated between the two systems. Sales opportunities in the CRM system can thus directly result in quotations and orders in the ERP system. System information will then be posted there in the future as well (e.g. when billing is complete for a process associated with a CRM element). The strengths of each product should be considered in the respective process stage in the conceptual design. Run-up and initiation of sales transactions belong in CRM while fulfilment, logistical handling and billing belong in NAV.